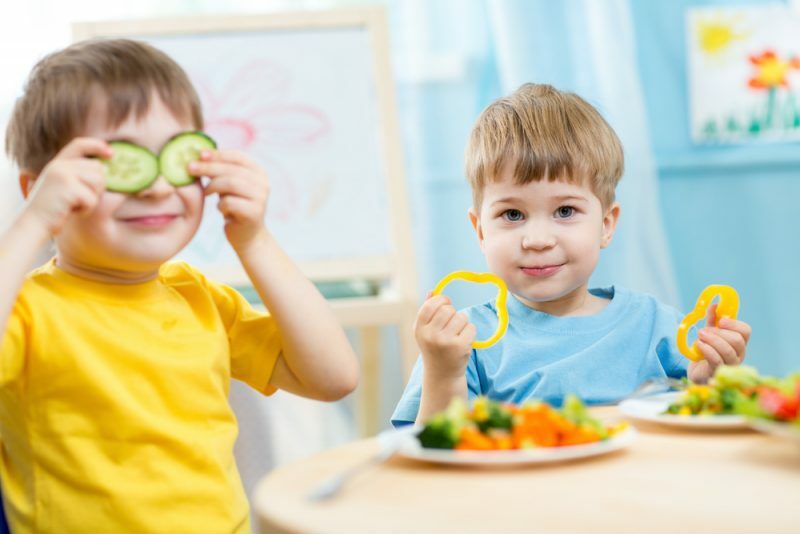 Is your preschooler a finicky eater? Does she turn her nose up at any sign of a vegetable? Are macaroni and cheese and chicken nuggets staples in her diet? It’s not uncommon for kids this age to be picky eaters. Many favor a repertoire of 4 or 5 foods they readily accept. It’s a natural part of your child’s development. The good news is there’s no need to worry as long as she takes a daily multivitamin, right? Wrong. Good nutrition is important for healthy growth and development, and it sets the stage for a lifetime of healthy eating. That’s why it’s important to teach your child good eating habits at an early age. Nutrients are the most potent when they come from food. Plus, they are paired with other beneficial nutrients – such as carotenoids, flavonoids and antioxidants – that aren’t found in most vitamin supplements. Food also keeps kids hydrated and helps to keep their digestive system healthy. Not to mention, eating is a cultural experience for families. Shared meals not only provide a valuable opportunity to connect with your kids every day, but they also help encourage healthy eating. By far, the most vitamins and minerals can be found in fruits and vegetables. In general, the majority of vitamins are found in foods high in carbohydrates and proteins, rather than fats. If you’re struggling to get your child to eat from all of the food groups at one meal, spread nutritious options across small meals and snacks throughout the day. Also, if your child refuses a certain food, keep trying with various preparations.